Camps Mills Schoolhouse No. 5, Salt Point Road & Sulpher Springs Rd. Camps Mills School No. 5: recent and vintage photos, 19th-century maps, and recollections from former teachers, students, and visitors, contributed by Mark A. Wentling. Jewettsville School No . 2: recent photo, 1864 location map, and a list of 100 students and teachers who attended a reunion circa 1937, contributed by Mark A. Wentling. 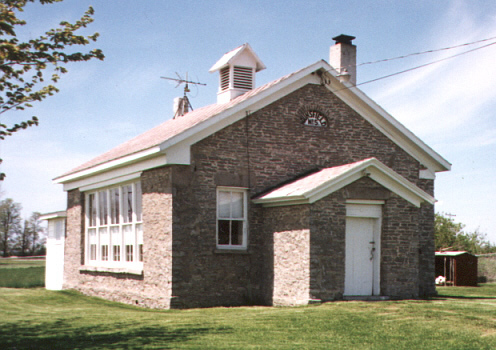 Muskellunge Schoolhouse No. 3: recent photo, history, and anecdote from Shirley Farone, plus 1864 map! Purpura Corners Schoolhouse: recent photos and early location maps, contributed by Mark A. Wentling. Sackets Harbor Union School: class of 1890 photo with notes on students; plus list of students attending the Spring 1856 session. Sulpher Springs School No. 19: recent photo, 19th-century location map, and recollections from a former teacher, contributed by Mark A. Wentling.